You reach into a paper (lunch) bag and take out a Tootsie Pop and show it to the audience. You then return it to the paper bag and then show a second Tootsie Pop. You put this is in the bag and remove a 3rd Tootsie Pop. You replace this and take out a 4th Tootsie Pop and place this one in your pocket. You then reach into the bag and remove a 2nd Tootsie Pop and place this into your pocket. You now give the bag with the two remaining Tootsie Pops to your assistant (helper) and to their surprise the bag is found to be empty. Comes complete with 2 gimmicked Tootsie Pops, 4 matching genuine Tootsie Pops, 3 brown paper bags and instruction sheet. 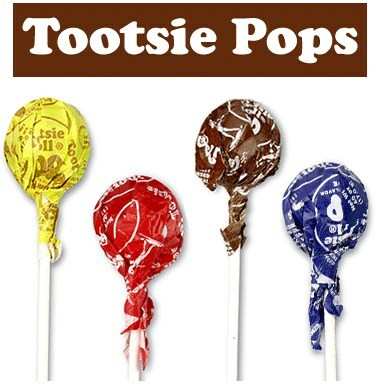 Note: color/flavors of Tootsie Pops may vary.